The rich scents of apple cider and cinnamon-sugar-popped kettle corn filled the streets of Galena, one of the sweetest little towns in my home state of Illinois, on a recent fall day. 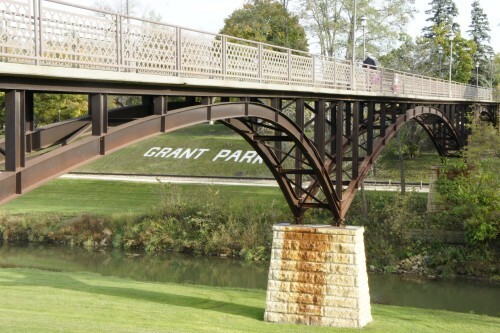 I’d remembered visiting Galena as a kid, mostly so my dad could tour the home of Ulysses S. Grant (who did business in this prosperous northwest corner of the state before making his name in the Civil War). And in high school, my cross-country team made Galena a weekend retreat so we could run and bike its hills. The river flowing along Galena’s Main Street, and the bluffs beyond, were lots different than the glacier-flattened cornfields we were used to in Central Illinois. I recalled it as cute, if not stylish, little town. Blaum Bros. Distilling Co. During lunch at fresh locavore restaurant One Eleven Main, I spotted three bottles of Blaum Bros. liquors, one for a type I’d never seen called Hellfyre. It was a spicy vodka, bartender Adam explained between shaking martinis—the place was doing a roaring cocktail trade on a Friday afternoon. 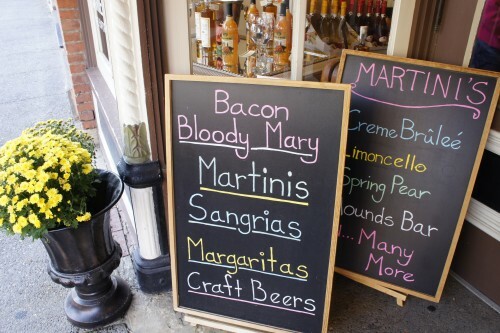 I assumed Hellfyre went into bloody marys. “Actually,” Adam said, “up at the distillery they use it in a chocolate martini.” So my sister and I stopped in later to try one. It was a perfect balance of chocolate and pepper in a creamy base, and ideal for sipping on the distillery’s overstuffed leather couches. 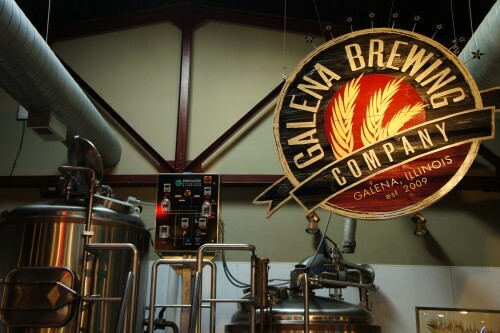 Galena Brewing Co. They crank up the reggae in this roomy, gleaming tap room for a relax-you’re-on-vacation feel. But there’s still a sense of Illinois place, with beers like Uly’s Dark oatmeal stout. We counted a dozen kinds of brews and sampled six of them on a tasting flight, including a woodsy Smokin’ Oak that reminded me of campfires along the bean fields with my friends downstate. Ultimately we carried out 24 cans of their blonde Farmer’s Ale for our extended family (which does in fact include several farmers), and it was a crowd-pleaser. Noty Kitty This romance boutique opened the October weekend we visited, and its bright pink walls and fur-trimmed lingerie announced this wasn’t another antiques den. The offerings start with massage oils, lotions, and pajamas and get racier from there.